Figure 1. Testing Circuit Breakers. Figure 2. Replacing Circuit Breakers. 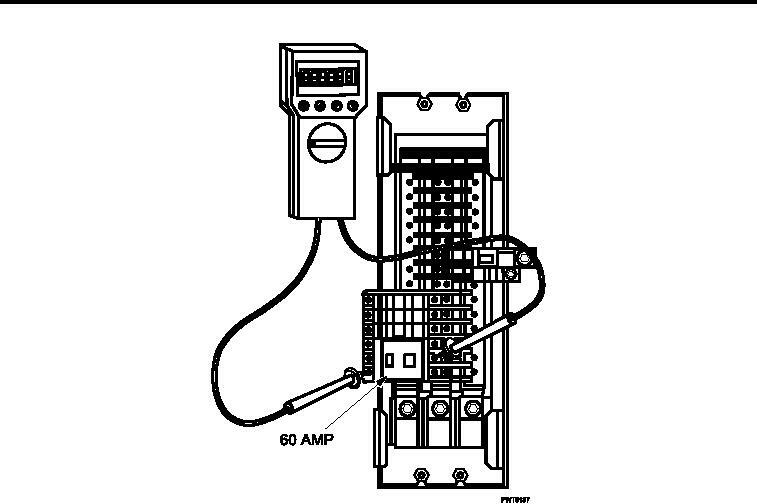 Test each circuit breaker by ensuring circuit breaker is in ON position. Ensure branch circuit breakers are in ON position and observe if any breakers switch to OFF position. Move main circuit breaker to OFF position. Test remaining circuit breakers for continuity. Replace circuit breaker(s) if there is no continuity. Move main circuit breaker to ON position.